Consider one of our custom banners to advertise your next sale, or turn an ordinary occasion into an event with a bit of Hollywood, celebrity style. With a variety of packages and sizes from which to choose, you can rest assured that we can help you make a professional and memorable impression upon your customers and/or guests. 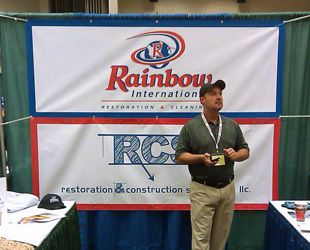 We make Mesh banners, matte banners, step and repeat banners, and more. Banner stands for your convention, even. If you're in need of a durable and long-lasting custom banner to advertise your next big sale or a photo backdrop for your charity drive, we have the team and equipment to produce exactly what you're looking for. "Happy Birthday," "Happy Anniversary	and congratulatory custom banners are staples for the office, hotels and restaurants and even home. 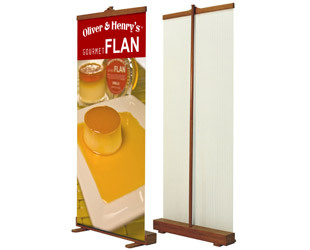 Reusable and sturdy, our banners can be used again and again and help make decorating a snap, whether it's advertising or simply marking an occasion. Our custom banners come in a variety of eye-catching colors including a line of fluorescents that are proven to be 5 times more effective than traditional banners. 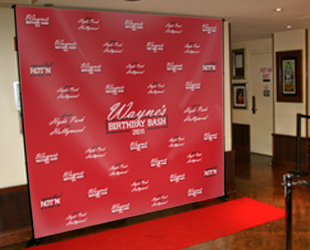 You can choose one of our Hollywood, red carpet style backdrops to make your guests feel like real VIPs. Often called step and repeat banners, Hollywood banners lend a regal touch to any occasion. So, if you're looking to add some celebrity panache to your next corporate or committee function, we're here to help. 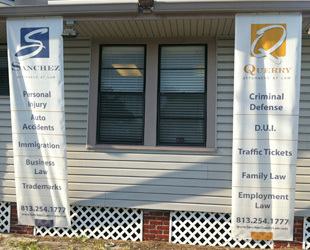 Hollywood banners, also known as step and repeat banners, are a specialty of ours at Good Guys Signs. We have the large format printer in our shop to turn around a step and repeat/Hollywood banner in 1 day. with one of our red carpet style custom banners! Call 813-447-4770 for full details and pricing. With so many sizes and options from which to choose, we have the custom banners to make your occasions pop with flare and style. They are durable and long-lasting and can be produced to serve a wide range of purposes. Come in with your own designs or allow one of our seasoned design professionals help you create the perfect color scheme and layout to get your message across effectively and affordably. We have up to date graphic programs and printing equipment at our disposal, so you can rest assured that you'll receive the highest quality banners available on the market today. Also, our design team and printers are all under one roof, so you will receive your custom banners as expeditiously as possible - and at the most affordable rates for custom, quality work. Whether it's for advertising, commemoration or display purposes, we're here to serve you with the most impeccable services and products. Truly custom, low priced banners. 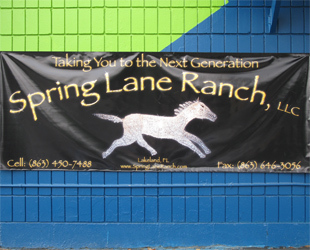 We provide custom banners with one day turn around in Tampa, Florida as well as St. Petersburg, Clearwater, Largo, Palm Harbor, Brandon, New Port Richey and throughout Tampa Bay. Across the country, we can print and ship within 24 hours. 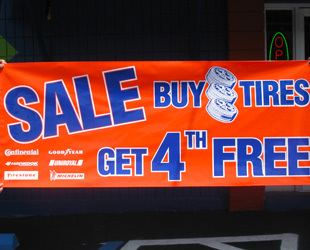 When you need quality, custom banners at a low price, no one beats Good Guys Signs.